Welcome to the Home of the Claiborne Sparks of Opelousas, Louisiana! Revised 2019 Governor's Games for Girls Basketball Tournament Schedules Posted! The Revised schedules for the 2019 Governor's Games for Girls Basketball Tournament April 6-7, 2019 are posted in our handout section below. 1. Northside High School Gym #1, 301 Dunand St., Lafayette, LA 70501. 2. Nortside High School Gym #2, 301 Dunand St., Lafayette, La 70501. We are looking forward to hosting in Lafayette this year! If you have any questions, please don't hesitate to call Jarvis Claiborne at 337-351-1592. Helena Tibbs 2017 Sparks Scholarship Recipient! Claiborne Sparks, Inc. is pleased and proud to announce that Ms. Helena Tibbs is a 2017 scholarship recipient. Helena is the daughter of Melanie Durio and Elliot Tibbs. Helena will be graduating from Beau Chene High School with a GPA of 3.83. Sheplans on attending the University of Louisiana at Lafayette on a full track scholarship. She will major in biology. Helena has maintained a 3.5 or more GPA her entire high school career and has received the Beau Chene High School 4.0 award. She was selected to the 1st Team All Parish Basketball Team in 2014, 2015, and 2016. She as also selected t othe 1st Team All District 4-4A for 2014, 2015, and 2016. She was the St. Landry Parish champion in the long jump and triple jump for 2014, 2015, and 2016. She was also the St. Landry Parish Outstanding Female Field District champion in the Triple Jump for 2014, 2015, and 2016. She was also the class 4-4A Outstanding State Qualifier for the long jump and the triple jump in 2014, 2015, and 2016. She placed third in the state in 2015 for the long jump. 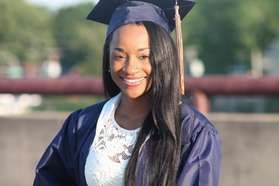 She was also the Class 4A State Champion in the triple jump in 2016 and set a new personal and school record with a jump of 38'4". The 2019 Governor's Games for Girls Basketball will be held April 6-7, 2019 in Lafayette, Louisiana. The Governor's Council on Physical Fitness and Sports headed by Mr. Rudy Macklin encourages every team in Louisiana to compete. Your host, Claiborne Sparks, is looking forward to seeing everyone this year with an earlier date for the tournament to accommodate everyone. The format is pool and bracket play. The tournament will follow AAU rules. The entry form is attached below for your convenience. Please contact Jarvis Claiborne with questions at 337-351-1592. Mr. Rudy Macklin, Director, Louisiana Governor's Council on Physical Fitness and Sports, announces that the 2016 Governor's Games for Girls Basketball Tournament will be held held in the St. Landry Parish area on Father's Day Weekend, June 18-19, 2016. The Claiborne Sparks of Opelousas, Louisiana, headed by Jarvis Claiborne, are pleased to host the tournament for the 10th year. The Honorable Reggie Tatum, Mayor of Opelousas, extends his best wishes for a successful tournament! Host sites will be Opelousas Sr. High School, Opelousas Catholic High School, and the Boys and Girls Club. Divisions are 4th through 11th Grade. Deadline for is June 3, 2016. The entry form and additional information may be found in the handout below. For more information, please call 225-278-6114. 2016 Governor's Games Schedules are Posted! 2015 Governor's Games Bracket Play Winners! 2013 Governor's Games for Girls Winners Announced! Mr. Rudy Macklin, Director of the Louisiana Governor's Council on Physical Fitness and Sports Council extends his congratulations to the following winners.